holds an Master of Social Work degree from the University of Washington and the Master of Public Administration and Doctor of Social Work degrees from the University of Utah. He is a member of Phi Kappa Phi Honorary Fraternity. In 2010, Praeger Press published his books on workaholism and retirement and another on mature love. In 2009, Praeger Press published his book A Simple Guide to Retirement (with Brian Haas). Elsevier, Inc. published his books Evidence-Based Practice with Troubled Children and Adolescents: A Psychosocial Perspective and, Evidence Based Counseling and Psychotherapy with an Aging Population, also in 2009. In 2008 he published A Guide to Writing for Human Service Professionals for Rowman and Littlefield Publishers. In 2006 he published Life Lessons from Resilient People, published by Sage Publications. He published Working with Troubled Men: A Practitioner's Guide for Lawrence Erlbaum Publishers in 2005 and Improving the Effectiveness of the Helping Professions: An Evidence-Based Approach to Practice in 2004 for Sage Publications. In 2003 he published Violent Young Children, and Understanding and Using the Strengths Perspective for Allyn and Bacon/Longman Publishers. 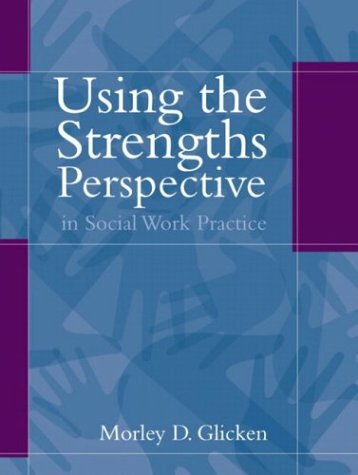 Dr. Glicken published two books for Allyn and Bacon/Longman Publishers in 2002: The Role of the Helping Professions in the Treatment of Victims and Perpetrators of Crime (with Dale Sechrest) and, A Simple Guide to Social Research. Dr Glicken has published over 50 articles in professional journals and has written extensively on personnel issues for Dow Jones, the publisher of the Wall Street Journal. He has held clinical social work licenses in Alabama and Kansas and is a member of the Academy of Certified Social Workers. He is currently Professor Emeritus in Social Work at California State University, San Bernardino and Executive Director of the Institute for Personal Growth: A Research, Treatment, and Training Institute in Prescott, Arizona offering consulting services in counseling, research, and management. More information about Dr. Glicken may be obtained on his website: www.morleyglicken.com . A listing of all of his books may be found on Amazon.com at: https://authorcentral.amazon.com/v/1973805540 and he can be contacted by email at: mglicken@msn.com.